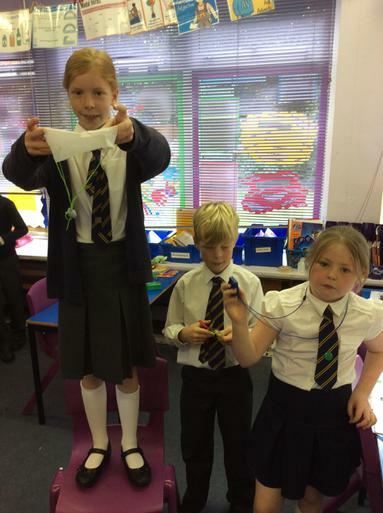 Year 5 have been having fun in science this week conducting an experiment on time and inceasing size of materials used. 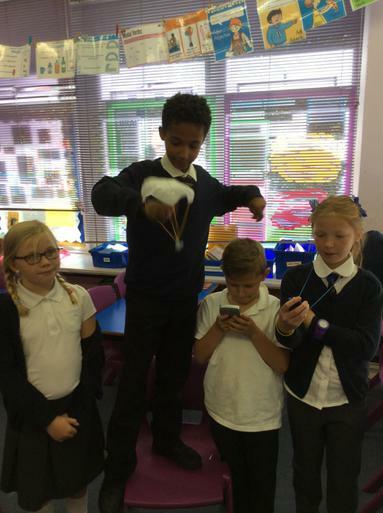 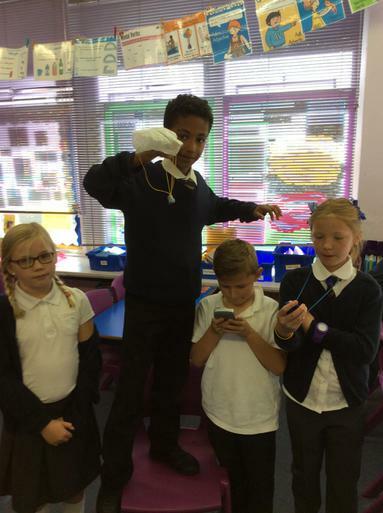 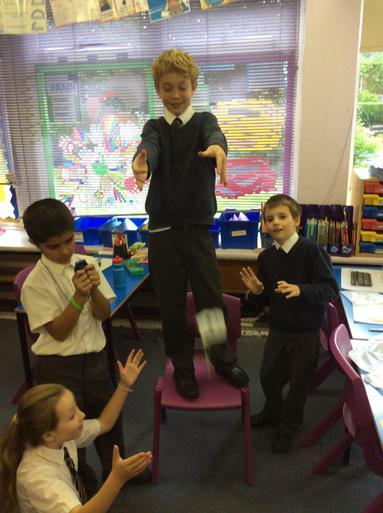 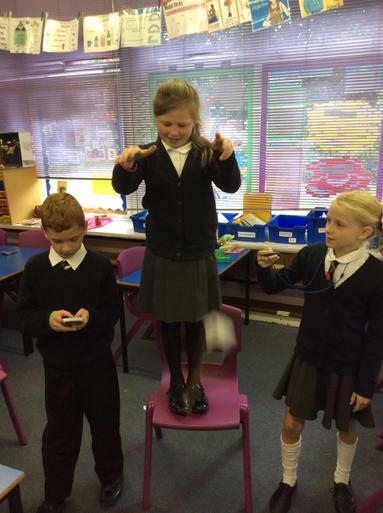 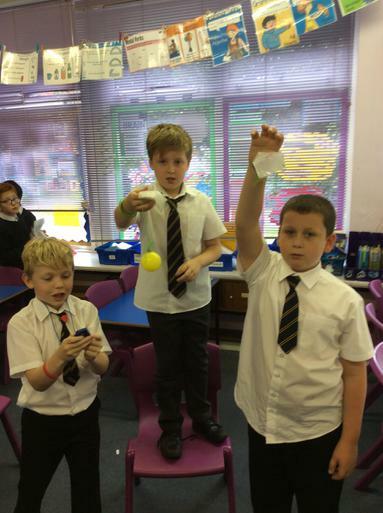 "We used 5x5cm2 pieces of tissue paper and increased the size by 5cm2 in each experiment.We had to make a parachute and drop it from the height of a chair and record the time it took to land. 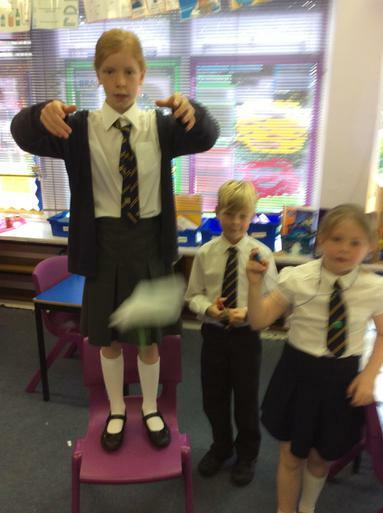 We were trying to find out if the size of the parachute would have an effect on the time it took to land. 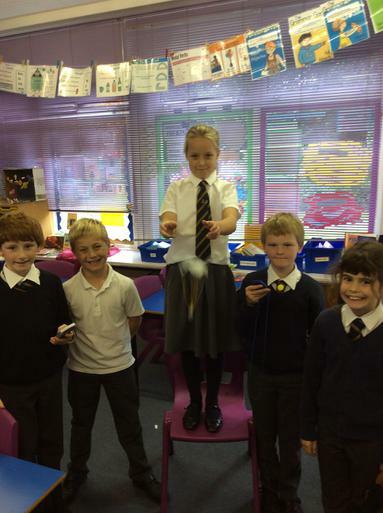 "Emily, Charlie, Samantha and Amy.